Quite often, when a matchup gets made and someone has to pull out — for one reason or another — the promotion finds a replacement. 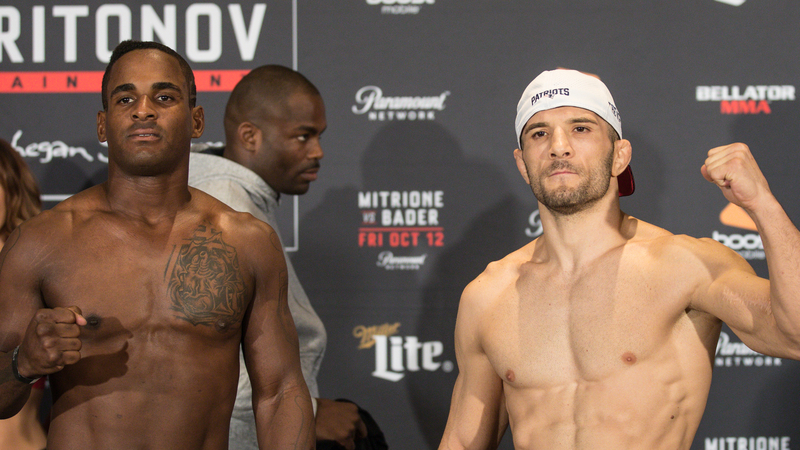 But for Bellator welterweight Lorenz Larkin, it happened twice in a one-month span. And he’s more than irked about it at this point. Larkin (19-7) had been orginally scheduled to face Yaroslav Amosov in a welterweight world grand prix alternate bout at Friday’s Bellator 207. Last month, Amosov pulled out due to an undisclosed injury and promotional newcomer Erick Silva got inserted into the slot. Then, last week, Silva informed Bellator that he couldn’t compete due to an injury. Wanting to keep Larkin on the card, Bellator turned to Ion Pascu. The unusual circumstances have left Larkin irritated and ready to take all of his frustrations out on his opponent. Just when it seemed like Larkin had gotten everything out of his system … he raged on. Many were surprised when Bellator revealed the eight-man grand prix field and Larkin’s name wasn’t in there. Larkin would only be an alternate since he fought for the title in his promotional debut against then-titleholder Douglas Lima at Bellator NYC in June 2017. That’s the way “The Monsoon” wanted it, though, because he didn’t want to sit around and not compete for long periods of time. Bellator’s welterweight division is regarded as its deepest weight class and one of the best — if not the best — in all of mixed martial arts. And that makes Larkin proud to fight for the promotion. Was the 2017 New York Mets Season Ruined By Mr. & Mr.s Met's Romantic Entanglements With the Syndergaard Household?